PHILADELPHIA (April 3, 2012): When accidents happen to four-legged family members, every moment matters. And according to 2011 claims data from No. 1-rated Petplan pet insurance, pets residing in some states are more likely to encounter an accident than others. At the bottom of the list are the five states with the fewest pet accidents: South Dakota, North Dakota, Wyoming, West Virginia and Montana. Accidents are not only harmful for pets, but can also hurt the family budget. According to 2011 Petplan claims data, the national average cost of veterinary care for a pet who was hit by a car was $1,450 per incident, with costs reaching as high as $11,700 in one case. As April is National Pet First Aid Awareness Month, it is the perfect time for pet parents to brush up on simple techniques, from CPR to basic bandaging, to help save the lives of furry friends in need. Know your stuff: There are many resources for pet parents to learn pet first aid, including the American Red Cross, which offers classes in many local chapters. Just type in your zip code on www.redcross.org to find class listings. You can also ask your veterinarian about local resources or classes being offered in your area. Compile a kit: In addition to learning first aid, Petplan recommends that pet parents keep a simple, easy-to-carry first aid kit handy, complete with the most useful items for most pet emergencies. It should include: gauze for wrapping wounds; nonstick bandages and bandage tape; scissors; saline flush; antibiotic ointment; towels or strips of clean cloth; milk of magnesia, hydrogen peroxide, a digital thermometer and tweezers. Keep it close: When an accident occurs, you want to be able to grab the kit and go. Store it out of reach of prying paws, but be sure it’s not buried in the basement either. Consider two kits – one for home and one to keep in the car – in case an accident happens on the road. Personalize it: Print out your pets’ vaccination and medical history to include in the kit, as well as contact numbers for your vet and the closest emergency after-hours vet clinic. When you take the time to prepare in advance, you’ll be ready for the pet accidents and injuries you never saw coming. To learn more pet first aid tips, visit www.GoPetplan.com. Top-rated pet insurance provider, Petplan, is the only pet insurance company to have been included on Inc. Magazine’s list of 500 fastest-growing, privately held companies in America. Petplan’s fully customizable dog insurance and cat insurance policies provide coverage for all hereditary and congenital conditions for the life of the pet as standard, and meet the coverage requirements and budget for pets of all/any age. Petplan policies are underwritten by AGCS Marine Insurance Company, a member of the Allianz Group, rated A+ by A.M. Best (2010). 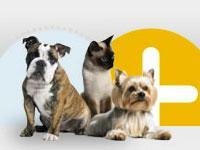 For information, about Petplan pet insurance, visit www.GoPetplan.com, read the Petplan Pet Insurance Blog, or call 1-866-467-3875.